What exactly is hydrogen (H2) and why is it from great importance? Hydrogen (H2) is of natural origin and is the smallest and most abundant element on earth. It is colourless, odourless, and tasteless. Moreover, it is the basis of all biological processes. Hydrogen will be a main energy source in the future. Once the individual limit of hydrogen in the body has been reached, superfluous hydrogen is simply released. There are no risks or side effects! Due to its extremely small size and lipid solubility, hydrogen can easily reach cell membranes, mitochondria, tissues, and organs. Other antioxidants and food supplements are too big to be effective here. Drinking hydrogen-enriched water and inhaling hydrogen are the simplest and safest ways to supply our body with hydrogen. For many years, people were talking about healing springs. Suffering from diseases and infections, or simply the desire for a relaxing bath, people affected took a bath in those healing springs. It turned out that it was no coincidence that these springs helped many people. It was found that the designated springs consist of hydrogen enriched water. 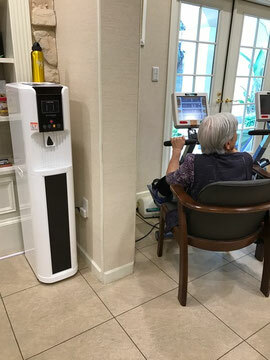 Gaura Pro is installed in more than 1000 fitness clubs in Japan. 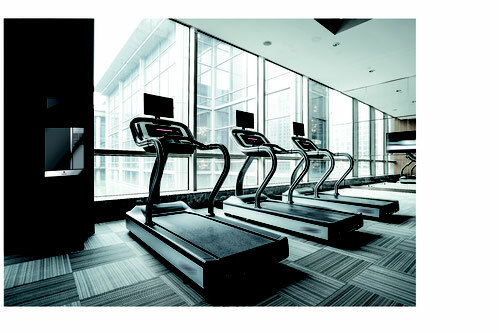 The biggest gym in Tokyo with more than 8000 members owns 4 big H2-water dispenser.